Accountants and marketers are targeted in two new campaigns by The Trade Desk (TTD) and the Institute of Management Accountants (IMA) that both address working in today's digital landscape. TTD's first newspaper advertising campaign seeks to entertain advertising, marketing and business communities, while raising awareness about its services. The messaging is counterintuitive, designed to capture the transformational shift taking place in modern marketing, from mass media to data-driven, customer-targeted digital channels, says Susan Vobejda, CMO, TTD. The campaign first appeared in The New York Times, The New York Times International, The Wall Street Journal and The Mercury News through the week of September 10. "Although this is the first time TTD has done a newspaper advertising campaign, we think it will be the last -- but we never say never," jokes Vobejda. Separately, the IMA is emphasizing how accounting and finance professionals who earn the group's Certified Management Accountant are better positioned to thrive in the digital age. The multichannel campaign, developed in partnership with The Gate/New York, plays like a buddy film. A CMA discusses his friendship with a robot when they cook together, sing karaoke and work "hand in glove." The robot points out the hand has an office, while the glove doesn't. "They’re just not equals -- much to the chagrin of the robot," says David Bernstein, Chief Creative Officer, The Gate/New York. 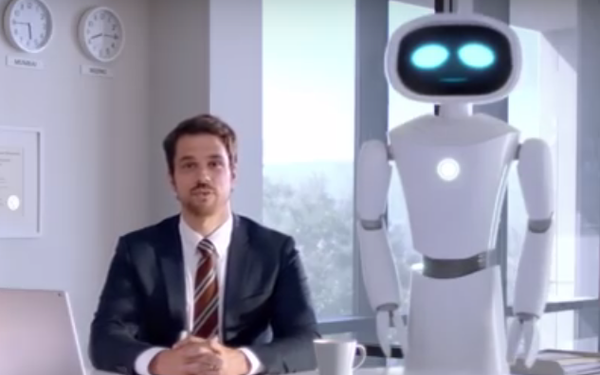 The spots end with the IMA's tagline "You've got to earn it" -- building on last year’s campaign, which focused on the fact that robots are coming into the world of accounting and a CMA credential could help accountants survive. The media buy uses programmatic television, radio, digital, social media, and search engine marketing in the U.S. In addition, IMA is extending select campaign components in Europe, the Middle East, India, China and Southeast Asia, according to Beau Fraser, president, The Gate/New York.